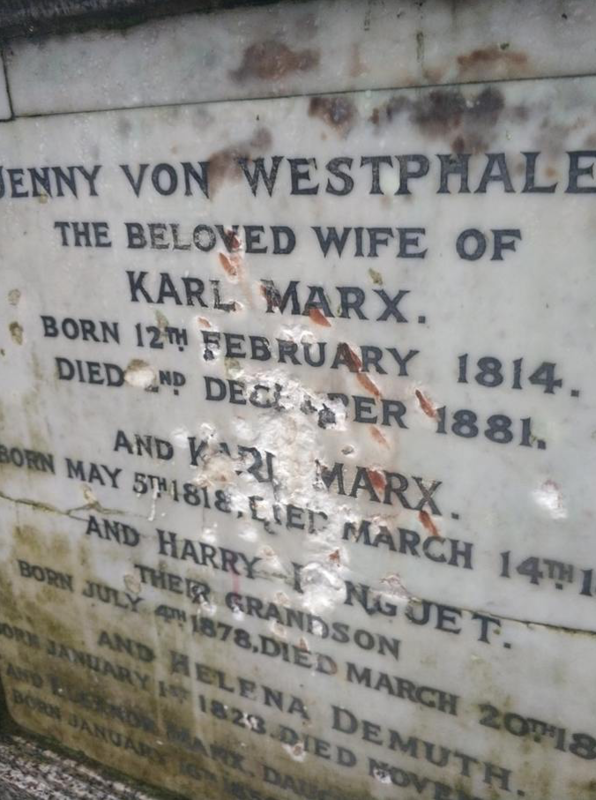 The grave of Jenny von Westphalen and Karl Marx has been vandalised in a hammer attack that left the face of the plinth scarred with hammer blows. 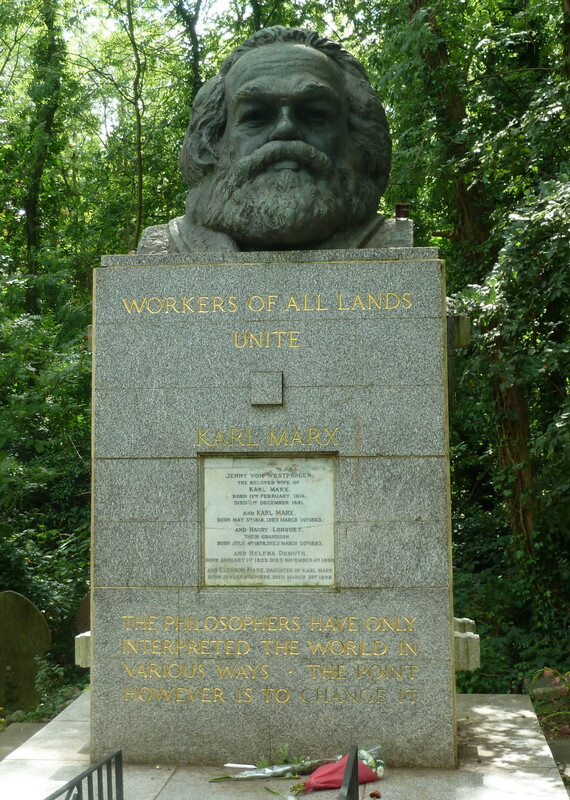 Communist Party general secretary Robert Griffiths said: “The ideas of Marx – like his plinth at Highgate – are powerful enough to outlast any damage done by a fascist vandal. This moronic attack should help ensure an even bigger turnout for the annual Marx Oration and ceremony there on Sunday, March 17. The labour movement and the left in Britain and internationally must now ensure that the monument is fully restored as quickly as possible”. This entry was posted in Politics by Sid. Bookmark the permalink.